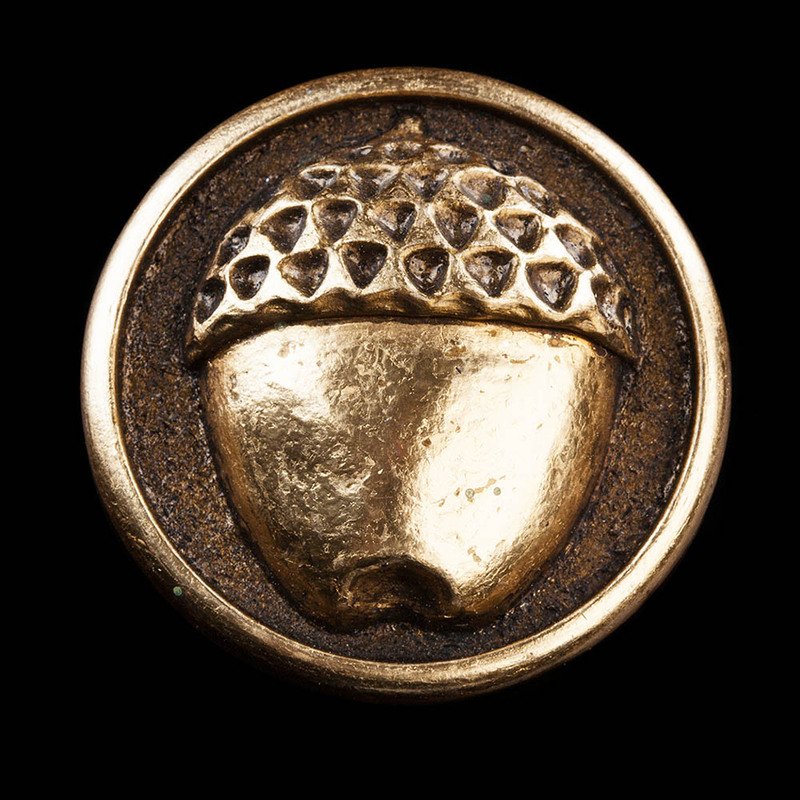 Scattered throughout the dark and twisted tunnels of Goblin-Town appeared to be a set of old brass buttons, each adorned with an acorn, as if lost from a hobbit's waistcoat. How did such trinkets end up in a place like this? Designed by the very same artists and craftspeople who worked on The Hobbit: An Unexpected Journey, this enlarged (2in / 50mm) replica of Bilbo's acorn buttons forms part of our range of collectible magnets from Weta Workshop. This is a range with a practical twist - an opportunity to arrange your favourite keepsakes from Middle-earth wherever you can find a magnetic surface. "This magnet is more that just a magnet it is Bilbo's Button! Amazing colour, sticks well to my fridge!"